No. 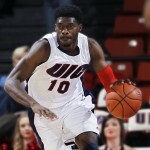 5 seeded UIC faces No. 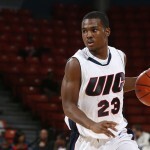 8 Cleveland State Tuesday in the UIC Pavilion. 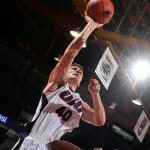 After Saturday’s season finale, the Flames stay home for the first round of the Horizon League tournament. 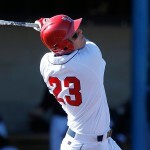 Baseball picks up a series win at Santa Clara last week. 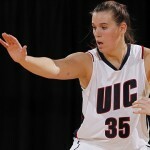 The women’s basketball team picked up its second consecutive Horizon League win Saturday, 76-74, against Detroit. The women’s gymnastics team captured the crown Sunday in a quadrangular meet against Midwest Independence Conference competitors. The women’s tennis team captured the doubles point and cruised to four singles wins for a 5-2 nonconference win over Toledo Saturday. 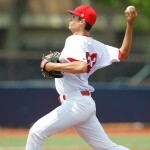 The baseball team kicked off its 2013 season with an upset win at No. 24 Texas A&M Friday. 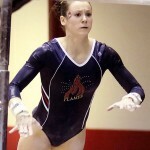 The women’s gymnastics team posted its highest score of the season but lost to No. 12 Denver Saturday. 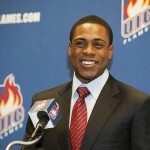 All-Star alumnus announces new ballpark for Flames, neighborhood youth.